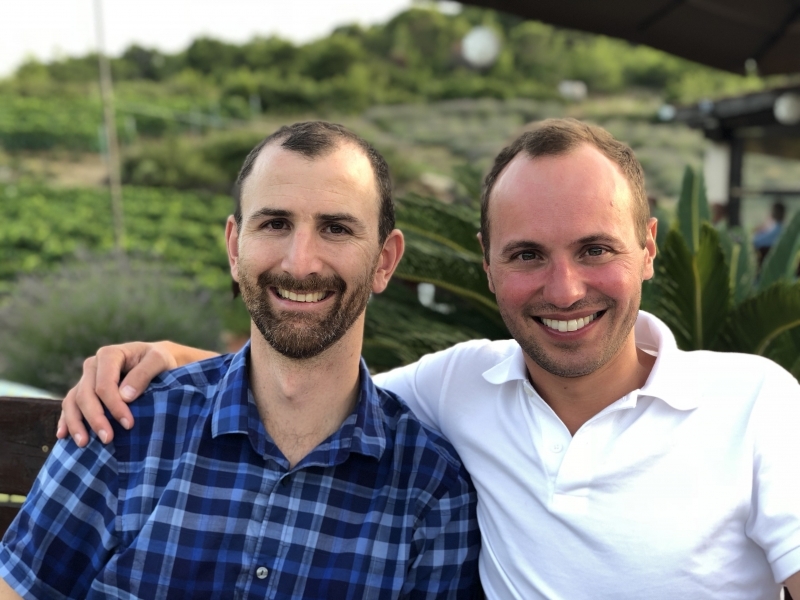 Adoption Profile - Hopeful adoptive parents, Filip and Phil, wish to adopt a baby. Hello, we are Phil & Filip (yes, we do have the same name)! We met ten years ago, and have been married for four years. We have built a strong relationship based on love, trust, humor, and kindness, and we can’t wait to welcome a child into our home. We admire you for making this difficult decision. What we can promise you is that your child will be welcomed open-heartedly into our loving home. We are a multicultural family. Our child will grow up with Portuguese, Spanish, English and Serbian spoken in our home, learning about each of those cultures. We’ll share home-cooked meals in between regular playtime outdoors in our diverse and family-oriented neighborhood of Redwood City, a Silicon Valley town 30 miles south of San Francisco. We have been blessed with stable jobs in science and engineering, and Phil is excited to take a year off from work to be a stay-at-home dad. We are committed to creating a nurturing environment and providing opportunities so that our child can grow, and explore his or her interests fully.